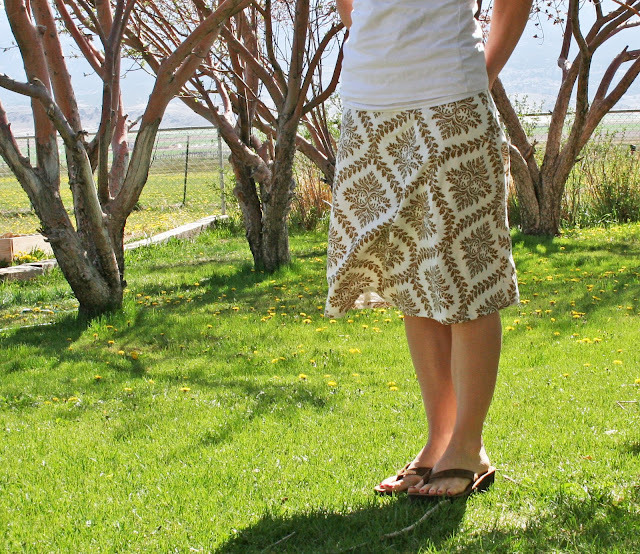 so many of you liked my other skirt i just made out of a table cloth that i was wanting to share how for all of you to make one for yourselves. make sure you wash your table cloth before you start this project. we don't want it shrinking on you after you've made it to fit you perfectly. 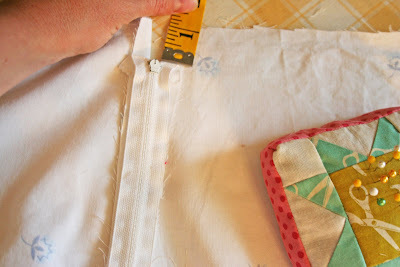 either eye it or measure it but you will cut out your front panel of your skirt by outlining 1/2" bigger than your skirt you are using as your template. cut out your front panel. 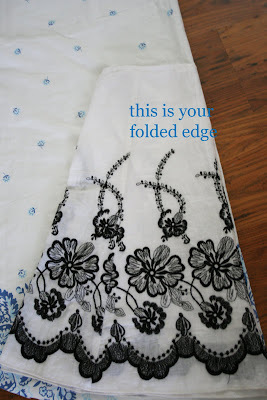 once your back skirt panel is sew (leaving the 7" opening on top) press with an iron your edges flat open and continuing all the way to the top. measure 1"from the top and this is where your zipper top will be. 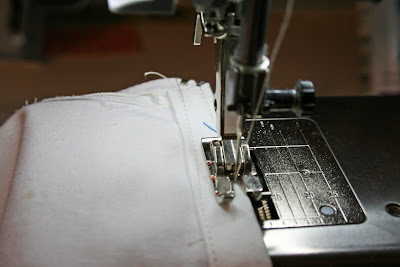 using a zipper foot, sew down one side (pull pins out as you go) make sure you are sort of close to the inside of your "teeth" of the zipper. when you get to the needle that indicates where the end of your zipper is suppose to be (the blue needle i put sideways), sew over the zipper, back stitch a few times to make sure you make enough of a "barrier" so your zipper will stop. you've just done a zipper. 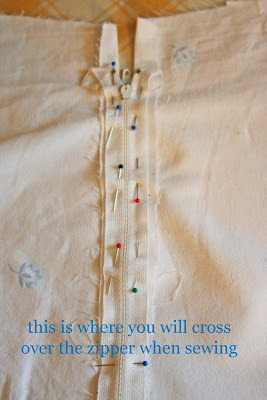 to sew your front and back together, place right sides together pin the sides to match up. 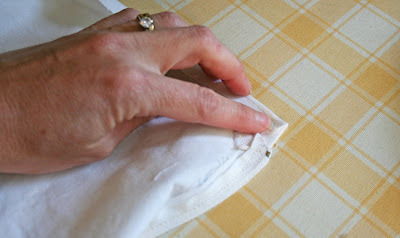 sew your sides up using a 1/2 inch seam allowance. 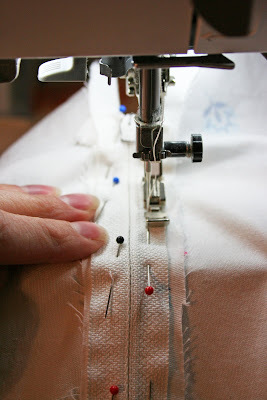 once you've sewn the skirt sides, press your seams open on either side. 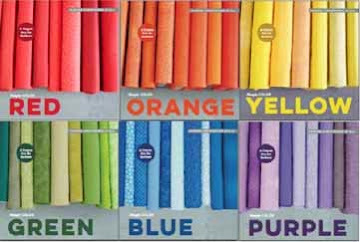 i'm going to make a few of these with store bought fabric as well, because they are just perfect for summer. By the way, how was the little trip? Beautiful! I better go find me a tablecloth! I linked to this at somedaycrafts. 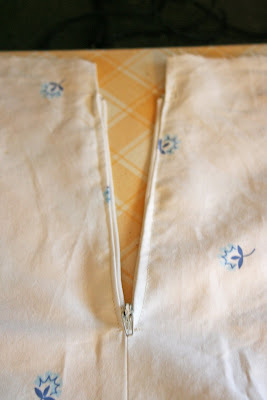 I have tried to do a zipper so many times, and failed so many times that now I stick to patterns without zips, but your instructions look so much easier than my usual method, so I may just have to give zips a try once more! Great tutorial. 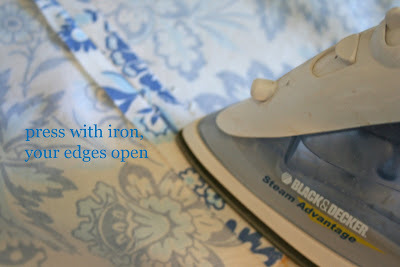 You make it seem so easy even I might try it, even though I have never sewn any wearable clothes before. Thnx. Thanks for the fun tutorial. Now I will attempt to get over my fear of zippers. Oh, and how was the Grand Canyon? I lived in AZ for 6 years and never went there! Luckily my inlaws are still there so I can go someday. It always made me paranoid that one of my little kids would fall in! I love these skirts! So pretty. I've been waiting to see this tutorial. I'm a bit scared of the whole zipper thing though. 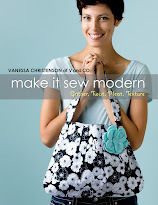 You are sew creative V! Guess what I will be doing today...can't wait. Never done a zipper so we will see how it goes. THANKS! Looks like fun *fast and *cute, thanks for the instruction! WOW! I think I can. *sigh* You make it look so easy! 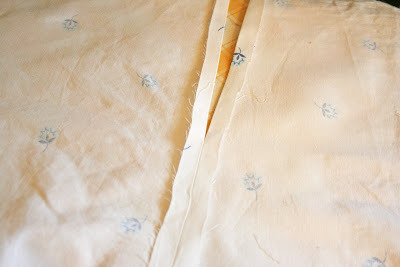 If my sewing machine did not consistently frustrate me to the point of wanting to toss it out the window, I'd be digging through my tablecloth collection right now! I've been waiting to make this adorable skirt! Thanks and I am so featuring this today! YAY! I love this project! I'll be linking. glad to see i'm not the only person in love with martha stewart tablecloths. p.s. the christmas tablecloth skirt...didn't you have pillow cases on your bed like that in a post a long while ago??? or am i just making this up??? Such a cute idea. 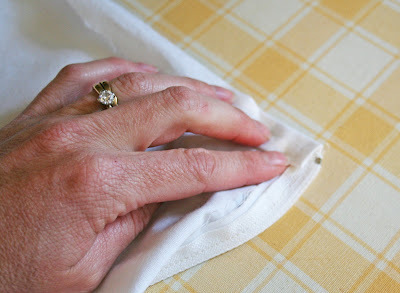 I am curious, what size/shape tablecloth did you use? 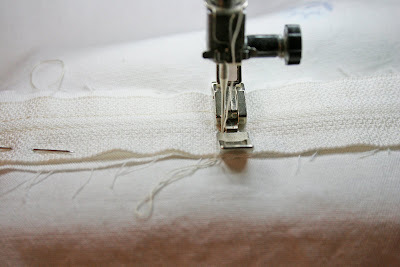 If you used a circular one, could the hemming be eliminated by cutting on the edge? Thanks for all the inspiration. Thank you! I've been wanting to make a few more skirts and I am not a big fan of patterns (cutting out the tissue paper is my least favorite part about sewing). This is perfect! Very cute. 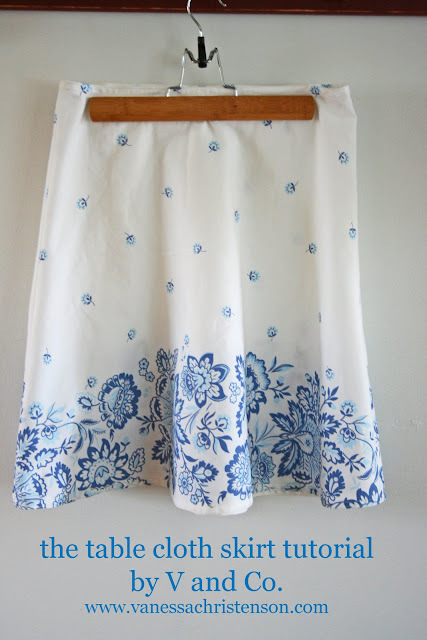 I haven't made a skirt using a zipper, but I have made A-line skirts without zippers very similar to this. 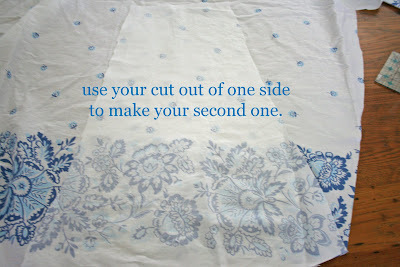 I may have to find a table cloth I like and try this. I bought that tablecloth last week at my K-mart for 5 bucks! I think I'm gonna make a skirt or two or three out of it. I got the really large one. Thanks for the tut! Thanks V. I'm excited to give this one a go. Love this! And there are some gorgeous tablecloths out there! So perfect for this! This is great and I just adore your blog! Thanks for sharing! too funny....I just bought that table cloth at KMart for 5.00 last week! I suddenly feel the urge to go buy a cute tablecloth. Love the idea! Okay, I just spent the last hour and a half (seriously) looking at your blog. You have an adorable family and you are SO good at decorating/sewing/crafting/finding good stuff at the "Big D" as we call it (DI, lol). Cute! You are amazing! Thanks for the tutorial I'm definitely gonna be using this one! Thanks for the tutorial--so sweet! Have a great week! Thanks for sharing... I'll have to give it a go!! I have been waiting for this tutorial ever since you said you would do it. Thank you so much for doing this. I am going to try and give it a go. 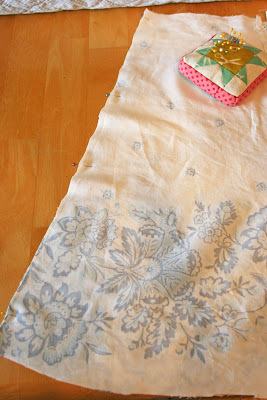 i need to make one of these... i mean its not like i have any other projects on my to-do list! Hi Vanessa, have just found your blog. It's amazing & this tute is fabulous. Thank you. I have been blog stalking you for this. THANK you so much! I can't wait to make myself a skirt or three. SO cute and easy. So V, do you finish your seams at all? How do they hold up when you wash them? I bought a zipper tonight. For the first time ever. That's how well you explained this/made it look doable. Thanks! seriously love it! love new ideas. love how simple it looks. thanks! so cute, i love it! thanks for sharing! I did 2 skirts last week with different zipper attempts. 3rd time's a charm - because of your tutorial!! OK. Now I have to go buy a tablecloth! Wow, Vanessa, that looks so easy I think I just might try it! I am not one to try "Stuff like this" either! Thanks for the tutorial! You're the bestest!!! How inspiring. I was so encouraged, I went out and bought my very first zipper. I actually bought two. I'm setting my hopes high, I suppose. Can't wait to start right now! LUUUUUUVED the pattern!! I just finished my first skirt ever-with a ZIPPER! hank you, thank you, thank you! thanks so much!!! i'm going to have to break down and try making a skirt now. the tutorial helps a ton! 1. Could you just cut one back panel and then put a zipper on the side seam of one side? I like hip-zippers better, anyhow, for ease of dressing and am thinking that would make cutting it out even easier. 2. If you wanted to do a lining, how would you do that? It looks like your black & white starter skirt has a lining and I prefer lined skirts if I can get them. Would you just cut another skirt pattern but lop off about 3" from the bottom and sort of repeat the steps but layer them together in the zipper and hems? I am giving this a try ... I linked this in a tweet on twitter. Thanks for the inspiration! ok... 1. awesome idea, especially since there are really cool tablecloths out there and 2. i LOVE your tutorial for the zipper. 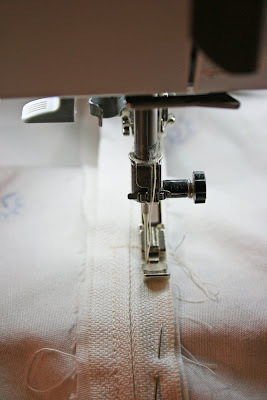 i always sew in invisible zippers because i'm afraid of regular ones for some reason. this just made it so easy looking! That's such a great tutorial! Thanks a lot for sharing.